Quality In-Home Appliance Repair Service on all Major Brands of Kitchen and Laundry Appliances. On all Major Brands of Kitchen and Laundry Appliances. 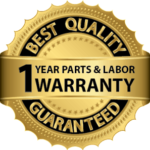 All Appliance Repairs are Backed By a 1 Year Worry Free Warranty, and performed by Factory Trained & EPA Certified Technicians. Servicing all of North West Florida & Baldwin County, Alabama. Dedicated to providing you with the best customer service, and Professional Quality Appliance Repairs for Affordable Prices. ALC Appliance Repair Looks Forward to Servicing Your Appliance Needs. 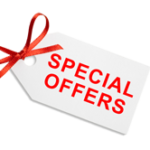 Availability For Same Day Service Is Limited, So Hurry & Call Now! Servicing Pensacola, Pensacola Beach, Gulf Breeze, Perdido Key, Milton, Navarre & Surrounding Areas. After troubleshooting ourselves, our LG washer still wouldn't work. Called ALC and Nate was here in less than an hour. He was professional and courteous, found the drain pump to be bad. He left to go pick one up because it was in stock. Came back in about 30 minutes and installed it. Company has 90 day warranty on the parts and labor, but we are moving out of state soon. Nate left his contact information and said if we have issues again to call him and he would walk us through best he can over the phone. He even found part numbers and average prices for a couple pieces broken in our refrigerator! He went above and beyond for us today. Phenomenal service and we will be recommending them to anyone we know having appliance issues! Bradley was very helpful in getting me a same day appointment in my emergency situation. Chris was so nice and very informative when he came out to repair my dryer. My total experience was a very good surprise at the end. Fast service, Great pricing - that's what I'm talking about! Today Bradley came by my house to repair what I thought was a burned out heating element in my clothes dryer. He discovered that my exhaust hose which is 12 feet long was improperly installed and was totally clogged with dryer lint and could easily have caught fire and destroyed my home. Kudos to Bradley for doing such a speedy and thorough repair. I will definitely use ALC in the future. We have used ALC (Ables) for several years - always an excellent experience. Just had to call again. Out quickly and another great experience. the technician came promptly and quickly diagnosed the problem. He was friendly and courteous. The same technician repaired my washer two months ago. I had the same positive experience. Great service! I called and they came the same day to repair my washer. Saved me from have to buy another one. Chris was my technician and was very nice. I had a dryer belt break on my Samsung dryer. I called ALC and they had a technician at our home the next day. Chris troubleshot the dryer and although I knew it was the dryer belt, he also found that one of the guide wheels had completely broken from the mount and it needed to be replaced as well. Parts were ordered in and they were back as soon as the parts came in a couple days later. This time it was Nate and he finished the repair quickly and efficiently. I feel the service was excellent, on time and very reasonably priced! We also received a senior discount which was a pleasant surprise. If you need appliance repair I would recommend ALC highly. Our renters had issues with the microwave. Someone responded immediately and they were able to make the repair that day. Thank you for the timely and friendly service. We will definitely use this company again! Fast, reliable and competent. What more can you ask for? They came out when they said they would, charged me a fair price, and got my Electrolux dryer running like a new machine. I would most definitely recommend this company, and I will definitely call them when I need service for an appliance in the future! Good job!